Happy Holidays! I hope this finds you well. The event will be held at the First Congregational Church, located at 20 East St. Vrain Street. Street and Metered parking will be available. The venue is smaller, so we will not advertise or make it open to the public. However, your guests are more than welcome to join. Compared to past events, this will be more experiential by allowing participants to be involved with the entire mochi making process. Along with pounding and eating, we want everyone to try making mochi in the kitchen as well. The event will be held entirely indoors. VOLUNTEERS ARE NEEDED! 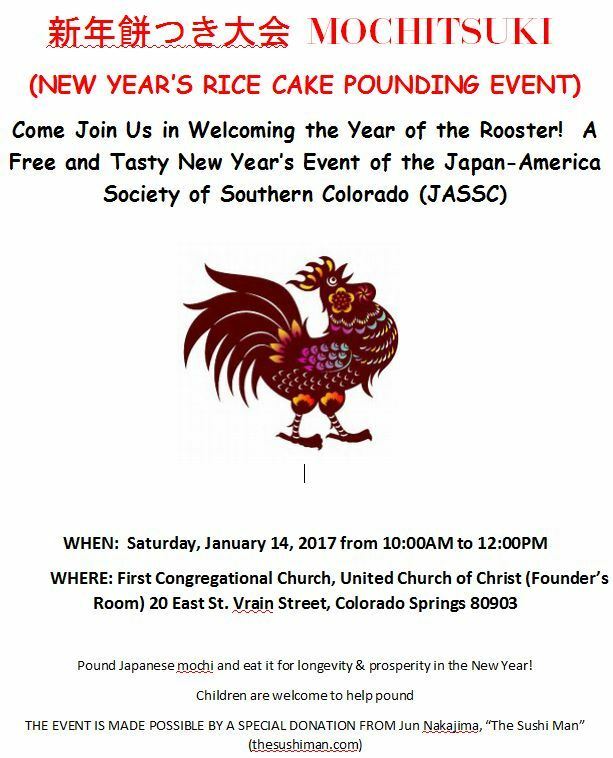 Please contact Kayoko Jennings directly at kayoko@comcast.net to be added to the volunteer list. More volunteer specific details will be provided separately.